NEW! Takahashi's new Sky Patrol III features a new TG-HD motor drive system with all-in-one hand control. Runs on 4 "AA" batteries contained in the hand controller. 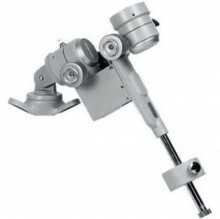 Includes one .6 Kg counterweight (p/n TCW0006) and counterweight shaft. Click the button below to add the Takahashi Teegul Sky Patrol III Mount to your wish list.